As much as we love a competition, often it’s nice to just play for the enjoyment of it. Thursday evening from about 6.00pm is the traditional roll-up time. Players turning up organise themselves into teams and play usually for a couple of hours, often with a break mid-way. This is good for players to get to know other members and improve their skill levels. 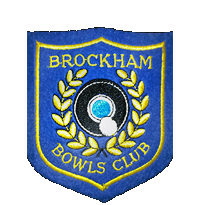 These matches are held on Tuesday evenings, are short in length (7 ends) and specifically arranged to give players a chance to bowl in the various positions in a team. Depending on the number attending, the teams are usually triples and/or pairs. Dress is greys and start time will be 5.00pm prompt. These session are ideal for beginners to try their hand without the pressure of playing in a match. All playing members are very welcome to attend. These games against other clubs, though competitive, as are all matches, have no outcome beyond the enjoyment of the day. They cater for meeting and making friends and improving skill within a match structure. Even as a beginner you are encouraged to sign up to play in friendly matches. Put your name down on the match sheets posted in Robins Nest. Then check if you have been selected and tick that you can play.